August 29, 2017 – Eagles 38, Dolphins 31 – The Miami Dolphins lost their third preseason game – this time to the Eagles. We review the game… the good, the bad, and everything in between, as well as other news Around The NFL. GO FINS! August 23, 2017 – Ravens 31, Dolphins 7 – The Miami Dolphins lost their second preseason game, and once again was struck with the injury bug. We review the game… the good, the bad, and everything in between, as well as other news Around The NFL. GO FINS! August 13, 2017 – Dolphins 23, Falcons 20 – The Miami Dolphins won their first preseason game, but officially lose two starting players for the season with QB Ryan Tannehill and ILB Raekwon McMillan. We review the game… the good, the bad, and everything in between, as well as other news Around the NFL. GO FINS! August 9, 2017 – Tannehill down! The Miami Dolphins lose their starting QB Ryan Tannehill to injury and find a replacement for this season with Jay Cutler. We review the good, the bad, and everything in between, as well as news Around the NFL. GO FINS! August 2, 2017 – Miami Dolphins Training Camp opens! In this episode, we review the first week of the 2017 Miami Dolphins Training Camp, as we discuss in-depth the players and positions to watch heading into this season. Go Fins! July 26, 2017 – Welcome to the 2017-18 NFL Season! 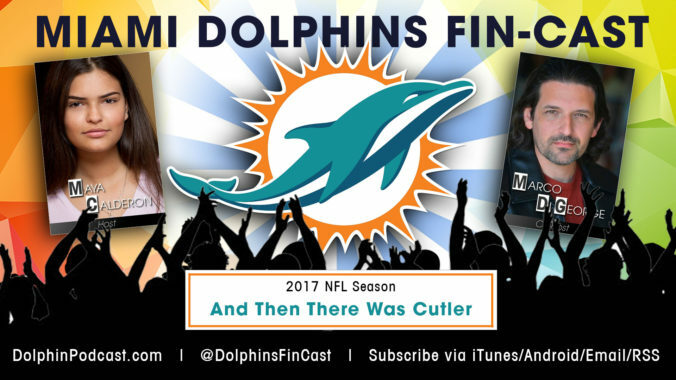 In this episode, we officially kickoff the 2017 NFL season for your Miami Dolphins, and give you an overview of what we will be looking as Training Camp begins. May 6, 2017 – Recapping the NFL Draft. 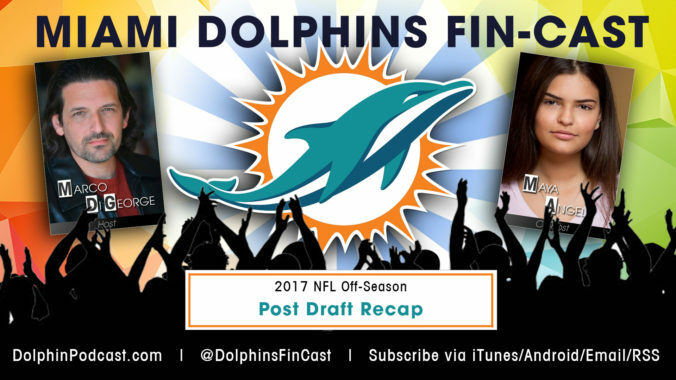 In this episode, we give you an update on who your Dolphins have selected in the 2017 NFL Draft, and also review a few important news items from Around the NFL. Our next official podcast will be live after the NFL Draft, where we will recap all the action and let you know who your Miami Dolphins selected. Stay tuned! Go Fins!! March 28, 2017 – Recapping the free agency period of March in the NFL. In this episode, we give you an update on what your Dolphins have been up to during free agency, and also review a few important moves and news from Around the NFL. March 5, 2017 – The downtime in the NFL – February. In this episode, we give you an update on what your Dolphins have been up to since the Super Bowl, and also review a few important tidbits from Around the NFL.